Experience a theatrical journey of discovery that interweaves stories told from the perspective of autistic people, their family members, advocates, and hinderers. Performed by an ensemble of ethnically, culturally, and neurologically diverse actors, the play garnered an honorable mention at the 2018 St.-Ambroise Montréal Fringe Festival. Playwright, producer, and performer Christine Rodriguez, described by CULT#MTL as having “... nuclear presence on stage,” is an emerging artist whose play Dreaming in Autism placed her on the proverbial map. The play took third prize at Ottawa Little Theatre’s 72nd National One-Act Playwriting Competition. Her latest work, the critically acclaimed The Autism Monologues, was an audience favorite at the 2018 St.-Ambroise Montréal Fringe Festival where it received Honorable Mention for Most Promising English Company (La Tigressa Productions). Rodriguez developed the play through the Black Theatre Workshop's Artist Mentorship Program and with the support of short-term and studio mentorships from Montréal, Arts Interculturels. In 2016, she earned a commission grant from the Cole Foundation's Intercultural Conversations program to write a play for Black Theatre Workshop. Rodriguez holds a Certificate of Professional Screenwriting from University of California, Los Angeles. Her mixed-race heritage and multicultural environment inspire her art. 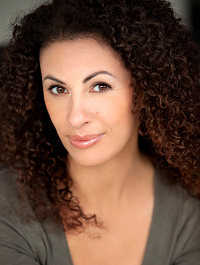 Originally from British Columbia, director, actor, and producer Jen Viens studied theater at University of British Columbia and trained with Matthew Harrison at the Actor’s Foundry in Vancouver. She relocated to Québec four years ago and currently works in Montréal and Toronto. Viens performed the one-woman show The Passage at the Montréal Fringe and took home the award for Best Solo Production. Most recently, she co-founded the production company Stone Lane Studio and starred in its inaugural film Love Sylvia. Her directing credits include The Importance of Being Earnest (Twisted Tree), Subtraction (Uncanny Theatre Co.), and Seven (Moving Forward). Edward (Ned) Hallowell is a child and adult psychiatrist, devoted to helping people identify and channel their strengths in today’s crazy-busy world. He offers insight into his personal story of growing up with mental illness in the family, his own learning differences, and how he beat the odds to win the race rather than capsize. As he talks about his childhood and his experiences as a person who has dealt successfully with his attention deficit disorder and dyslexia, Hallowell offers concrete and practical ways for boys to overcome their own family struggles, learning differences, and prejudicial behaviors to beat the odds. Internationally recognized as the “focus doctor,” he founded the Hallowell Centers in Boston Metrowest, New York, San Francisco, and Seattle. These centers specialize in his signature “strength-based” approach to the diagnosis and treatment of cognitive and emotional concerns, especially ADHD. A graduate of Harvard College and Tulane Medical School, Hallowell completed his residency in adult and child psychiatry at Harvard Medical School, where he also served as an instructor for 20 years. He has written 20 books, including the 1994 groundbreaking New York Times best-seller on ADHD, Driven to Distraction. In aggregate, his books have sold more than 2 million copies on various psychological topics including how to raise children into happy adults, manage worry, develop focus, forgive ourselves and others, connect on a deeper level, and inspire the best from employees. Having successfully managed both ADHD and dyslexia himself, he has famously said, “I don’t treat disabilities; I help unwrap gifts!” When “disabilities” are seen instead by their mirror traits, these attributes can be channeled toward turbocharged success. Hallowell implores everyone to tap into this “American Edge,” and into “the other Vitamin C, Vitamin Connect,” for there is no force more powerful or beneficial than human connection. Internationally recognized for his expertise, humor, passion and unique ability to touch the hearts of many, Hallowell has appeared as an expert guest on many TV shows, including Oprah, Good Morning America, The Today Show, CBS Morning Show, The View, Dr. Oz, Dr. Phil, 60 Minutes, and CNN. He hosts the popular Distraction podcast that strategizes how to turn modern problems into newfound strengths. His newsletter reaches thousands each month, and he thoughtfully addresses new issues in each edition. His most recent book, Because I Come from A Crazy Family: The Making of a Psychiatrist, is a moving memoir about crazy families and where they can lead, and about the unending joys and challenges that come with helping people celebrate who they are.